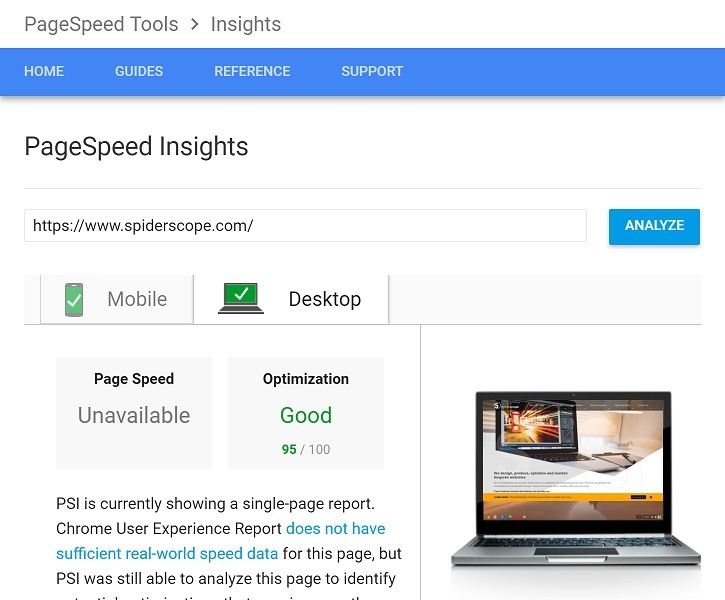 Google has confirmed that site speed is one of the factors they consider when assessing websites, so it's more important than ever to get your site optimised! Site speed also has a massive impact on user experience. How many times have you clicked onto a site from Google, only for it to take an eternity to load up? Probably quite regularly. Anything more than 5 seconds and users today are already beginning to get impatient. Much more than that and you're looking at potential customers clicking that back button and going to a competitor before they've even seen your site! Don't worry though, we've got you covered. We have a number of techniques that can dramatically reduce the loading time of your site. Unfortunately, there is one catch. There's only so much we can do with third party systems, such as WordPress, as they heavily restrict access to the site. However, you haven't wasted your time, there is always something we can do! Don't forget, when it comes to site speed it's not about getting the perfect score, it's about making incremental gains to improve the user experience. 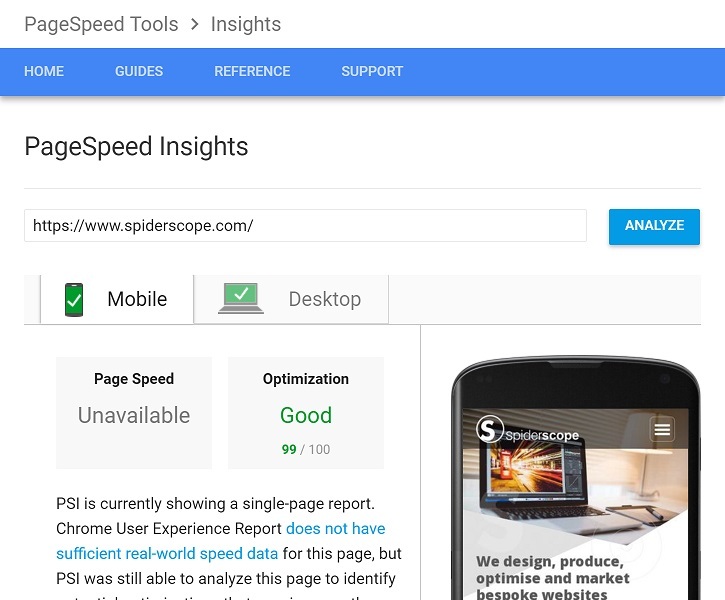 If you're interested in how your site rates at the moment, you can use Google's free tool to assess the speed of your site. The higher the score the better your site's speed is. If you take a look at the images below, you can what we were able to achieve with our site once we had performed some site speed optimisation. If you're interested in a free assessment to see what we can do with your site, then we'd love to hear from you, even if it's built in WordPress! You can do that by using the contact form below or giving us a call!